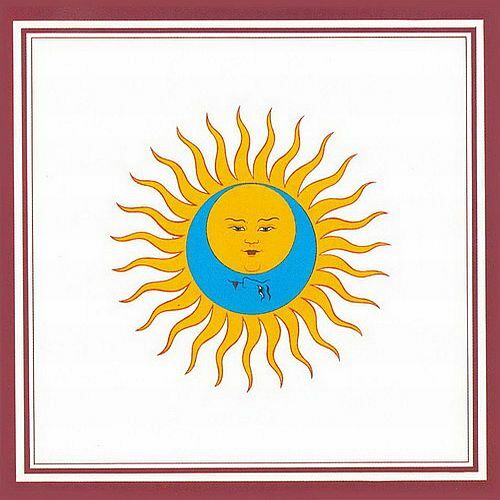 One of the most progressive and experimental albums of the early 70's was King Crimson's Larks' Tongues in Aspic. Bruford's presence has an instant effect on the band's quality, taking KC from an outstanding band to a god-like force. This is the most sophisticated, most rewarding, and peak for the outstanding and sometimes overlooked tour de force that was King Crimson. The album is complete throughout, with no noticeable weak points, even though the highlight is the title tracks. This is no looking back, no second-guessing, powerful and moving experimental prog. LTIA is ripe fruit for squeezing which never loses its juice, a real ageless wonder, thanks to the dynamics of Fripp and Bruford, who click as a duo like few do, and the presence of Muir, the unsung hero of the album, truly make this a ride that will be enjoyable for years to come. Larks Pt. 1 is one of the most engaging songs KC ever wrote. This is some of creativity at it's peak, with just wicked compositional skills that are baffling. KC may have never been the most appealing band (too quirky for many Yes and Genesis fans) but in my mind they have always been far superior and far more creative in their approach. This is the KC album that blows every other one out of the water. Red is perhaps more likeable because it is less difficult to understand, but if you really dig deep and find everything (or most everything) about this record, then you will have labored and loved, because few experiences are as gratifying as this. Wetton's vocals I find quite enjoyable, despite his limited range. This album is as fun as getting 'Easy Money'. Enough with the bad puns, if their's one album to start the New Year with a bang, that one you never got around to getting, make it Larks' Tongues in Aspic.